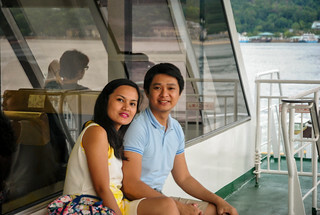 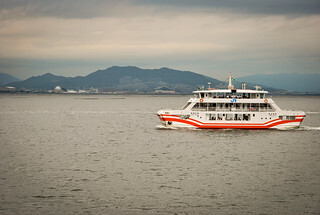 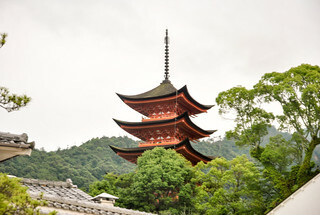 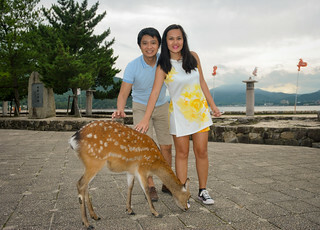 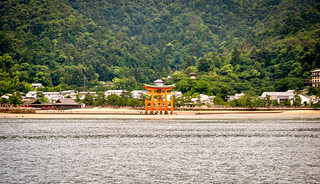 Still part of anniversary was our trip to Miyajima Island in the Hiroshima Prefecture. 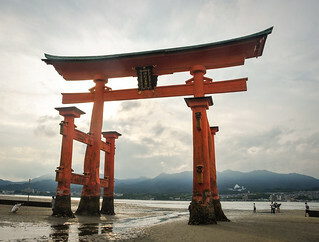 It is known for the floating Torii gate, which fronts the Itsukushima Shrine and is believed to be the boundary between the spirit and human worlds. 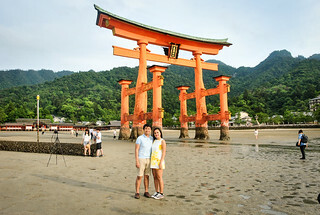 The Torii gate is also part of the Three Scenic Views of Japan (just like Amanohashidate). 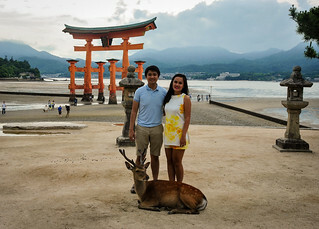 We particularly chose to visit it at low tide, so we could walk around the gate and fly the drone (LOL). 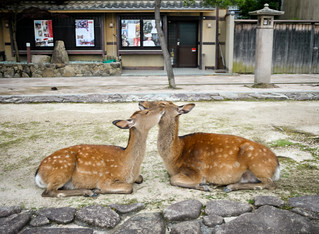 Some scenes of the Wolverine movie were shot in this island, which also has cute deers roving.